You can submit a Pre-K applications for your child for the 2019-20 school year through January 14, 2019. All children born in 2015, who live in New York City, are eligible to apply to pre-K programs for the 2019-20 school year. Questions? Read the FAQs at nyc.gov/prek, call 718-935-2009, or email ESEnrollment@schools.nyc.gov. If you live in New York City and your child was born in 2014, he or she is eligible to attend a free, high quality pre-K program beginning in September 2018. You can use the School Search tool to find pre-k in your area. Parents can apply online or in person at an Enrollment Office. Programs are available at public schools, Community Based Organizations (CBO’s) & at Community Based Early Childhood Centers (CBECCs). Parents can apply online at http://www.nyc.gov/prek/, by phone by calling 718-935-2067 or in person at a DOE Family Welcome Center, Monday through Friday from 8 a.m. to 3 p.m. Interpretation services are available over the phone and in-person at the Welcome Center. Find a Welcome Center near you. · Parents of children with disabilities should apply. · Parents should review the Pre-K Directory of the borough in which they reside FIRST; it lists admissions priorities for each school. · Parents should rank schools in their order of preference; the first program listed being their first choice. 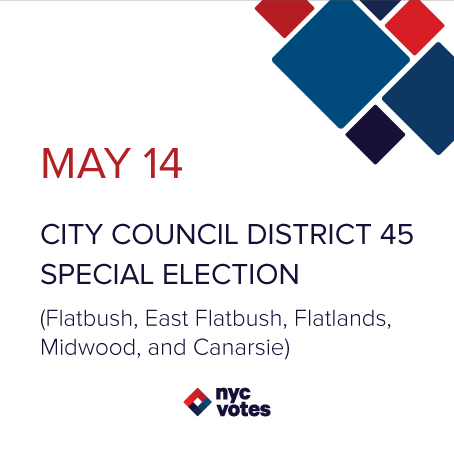 · Directories include Pre-K programs run by the Department of Education (DOE) or a NYC Early Education Centers (NYCEEC-also known as Community Based Organizations); both types of programs can be listed on the application. · Programs can be half-day (morning or afternoon) or full-day. If the child’s Pre-K program is a half-day at a NYCEEC, parents may have an option to extend to full-day program for a fee. · Parents should contact NYCEECs directly to inquire whether there are eligibility requirements or additional fees associated with full-day programs. · Applications are not processed on a first-come, first-served basis. ALL applications are treated the same no matter when they are received as long as they are received by the March 4th deadline. · Parents will be given one program offer in early May. Do you need to register your child for Pre-K? There are programs available for you! You can check the list of schools that may have available seats for the current school year. Availability may change, so contact the school or Community-Based Early Childhood Center (CBECC) directly to check. You can search and apply for Community-Based Early Childhood Center (CBECC) programs online. The Community-Based Early Childhood Center Directory and the Pre-K Directory handbook provides a list and information about CBECC programs. The handbook and applications are available on Department of Education’s website. Call: 311 or 718-935-2009 for information or to find an Enrollment Center near you. Click Here to see a list of Enrollment Centers by borough. Text “prek” to 877877 for updates and info. Sign up for email updates at: nyc.gov/schools/subscribe. All New York City pre-K programs share a common goal: to prepare children for school and life by giving them a solid foundation. Community-based organization (CBO) pre-kindergarten programs manage their own admissions. Families must contact CBOs directly to submit an application. Thousands more seats at CBOs will be announced in May, so subscribe for updates to be informed of new opportunities! 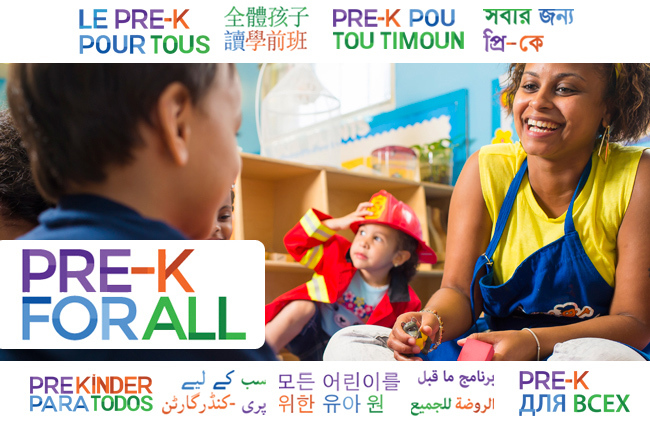 Materials are available online in Spanish, Chinese, Korean, French, Urdu, Bengali, French, Russian and Arabic. Interpretation services are available in over 150 languages via the pre-k enrollment hotline (718-935-2009) and at enrollment offices.